Cool off on a hot day with our Frozen Lemonade Slush. 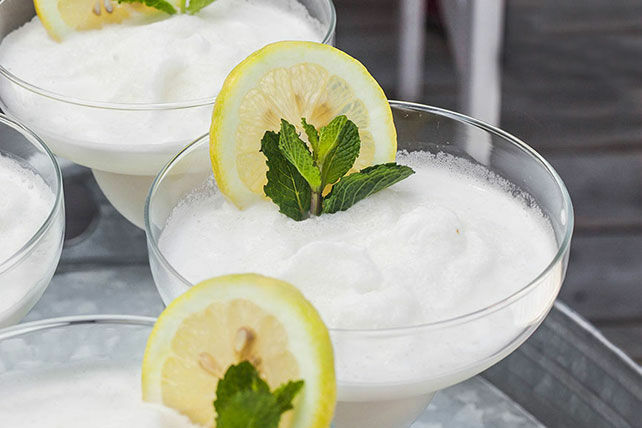 This frozen lemonade beverage is refreshing with a citrus twist - it's the perfect treat for two! Blend milk and drink mix in blender until mix is dissolved. Garnish each filled glass with a lemon slice and sprig of fresh mint. This recipe can easily be doubled. For best results, prepare using a high-powered blender. Or, prepare the doubled recipe in a regular blender in 2 batches of 2 servings each.